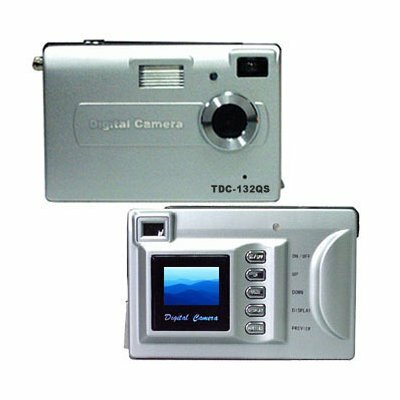 Successfully Added Digital Camera, 3M Pixel, 8MB Int.Mem., 1.1 inch LCD to your Shopping Cart. A thin design, excellent priced Digital Camera. Via interpolation this product has picture quality of 3.0 Megapixel, has external MMC SC port and internal 8MB of flash memory. Modes include: Still Photos-Digital Video-PC Camera. At wholesale prices, this is an excellent choice for a Digital Camera.